Looking for IBM Infoprint C2057 Parts? 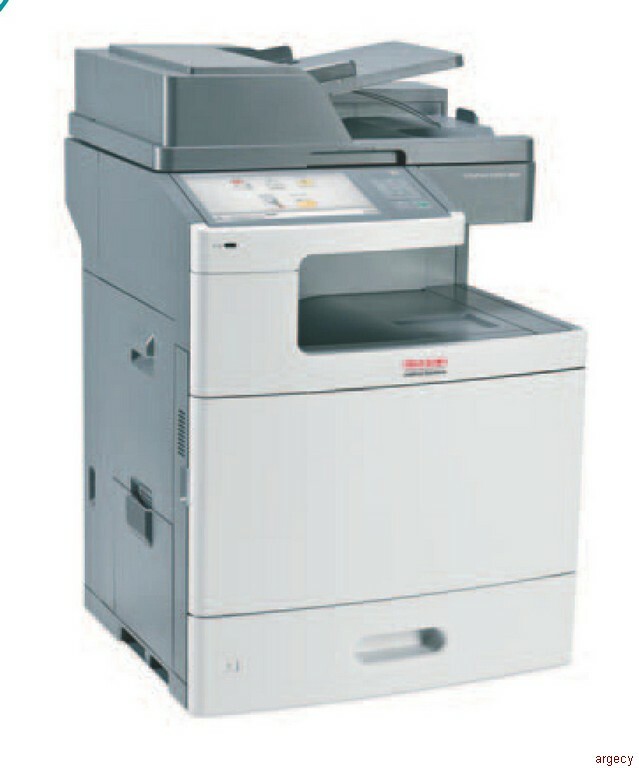 The InfoPrint C2057 MFP is an intelligent addition to any large workgroup. Enjoy color duplex scanning and printing, and an -eco-mode- setting that reduces paper waste and energy consumption Accelerate the performance of your workgroup with our blazing-fast 1.2 GHz color MFP! Simplify operation with a touch screen (featuring haptic technology) for easy-to-use, walk-up MFP functions. The integrated operator panel offers bold icons, an all-points-addressable display, -show me- graphics and text, and a -tell me more- selection. Boost convenience. Enter fax numbers and security pin codes easily. Track jobs that are sent to the machine or initiated at the machine. The log provides information including who, what, when, on what kind of media, and whether a job is mono or color. Expedite projects by scanning jobs quickly using the 75-page duplex scan with automated document feed. Improve communication by sending and receiving color faxes. Allow users to store optimized color/media palette on the print device for automatic optimization based on color name. Increase user-friendliness with sounds that have context. Different actions are "described" by different sound effects instead of a simple beep. Save energy by using the front panel sleep button and power off the device completely by using a hard power switch. Save time and help prevent unnecessary reprinting. Display contents of a USB/held print job on the control panel for confirmation and review by user. Also allows for job post send manipulation and printing of single pages from print jobs. Track -green- print behavior with job logs that utilize firmware tracking information for page count, cartridge usage type and count, duplex and n-up. Microsoft� Windows� Server 2008, Server 2008 x64, Server 2003, Server 2003 x64, 7, 7 x64, Vista, Vista x64, XP, XP x64, 2000, Me, 98, NT� 4, Terminal Services; Citrix MetaFrame; UNIX�; Linux�; IBM AIX� Colon Files; Mac OS X; Novell; Other: virtually any platform supporting TCP/IP. If a hard drive is installed, faxes are stored on the hard drive and the fax storage is the size of the hard drive less 1 GB. If a hard drive is not, installed faxes are stored on the flash memory. The maximum fax storage size on flash is 18 MB. North America: One-year, 9x5 next-day on-site repair (upgrades may be available). For more information, please contact your local InfoPrint representative. ** (39V4364) All maintenancep supplies are customer installable. Installation services are available at InfoPrint Solutions Company's current billable service rate for this product, with a one-hour minimum. The maintenance kits must be purchased separately by the customer before contacting InfoPrint Solutions for installation.